The sixth translation, by Nannie Nieland-Weits, was published by Muntinga (Amsterdam) in 2008, in which year it had two editions. It was published as a ‘Rainbow pocket’ (675 pp.). Nieland-Weits has translated many books, also from French and German, and wrote a book about Jane Austen. The seventh and so far last translation was published in 2010 by Reader’s Digest (Amsterdam/Brussels). It’s an ‘adaptation’ (461 pp.). The book doesn’t mention who translated it. The cover is very dull. 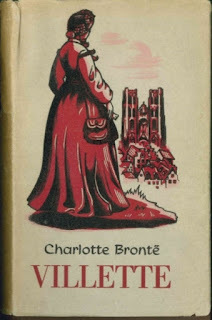 The first Dutch translation of The Professor was published in early 1859, by Van Bolhuis Hoitsema (Groningen; 10 years earlier they published the first Dutch Jane Eyre). The title it got was Edward Crimsworth, with the subtitle, in translation, The life of a teacher. a story (vi + 304 pp.). The ‘Edward’ is quite remarkable of course, all the more so since at the beginning of the novel the name of William Crimsworth is given first in big letters. The book has the preface of the author and Arthur Bell Nicholls. After the first Dutch Villette of 1856, described on this blog in this article of a few months ago, six more translations were published. These will be described below in a two-part article. 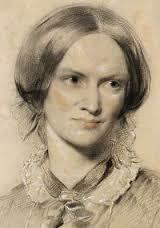 Some attention will also be paid to The Professor and to the other Brontë novels. 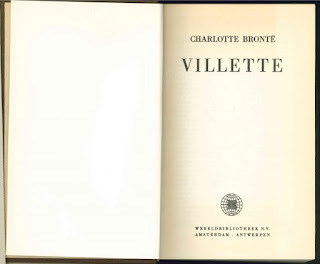 The second Dutch Villette had two editions, published in 1949 and 1950. It was translated by R.N. Bekaert, but it’s not been possible to find out who this person was. The surname though indicates that she or he was probably from Flanders, as the name is much more common there than in The Netherlands. The first of these editions was published by the Wereldbibliotheek, from Amsterdam & Antwerp (498 pp). Unfortunately this publisher, who has been very helpful, also knows nothing about the translator. As far as is known this is the oldest Villette translation with a cover illustration, and a really good one at that, with Lucy and the Ste. Gudule cathedral (in a composition similar to the 1950 Swiss Villette that got to number 3 in the cover top six). The illustration was done by the Antwerp artist Germaine Cluytmans 1912-1968). She was a painter and print-maker, and made a few more book covers. It is a hard cover book, with the illustration on a dust wrapper. It is also a very rare book. The publisher appears to have the only known existing copy with the dust wrapper. And at present there’s only known antiquarian bookshop in The Netherlands that has a copy for sale (unfortunately without the dust wrapper). The second edition of this translation was published in 1950 by Boekengilde Die Poorte, from Antwerp (500 pp.). 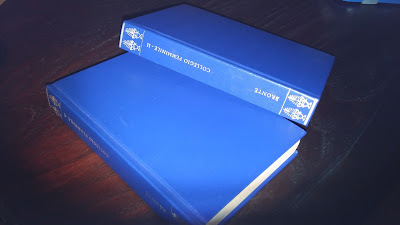 The hard cover is the same, apart from the colour. This one is green, whereas the 1949 edition was in red. It will most probably have had the same dust wrapper cover illustration, but that was missing in the copy we saw. The first Italian translation of The Professor dates back to 1890, published by A. Miazzon, with the title Il Professore. It was followed many years later by Il Professore published by Sonzogno in March 1931. This makes the illustrated cover the oldest of all translations of The Professor and Villette. 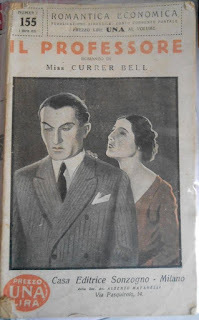 On its cover the novel’s author is still given as ‘Currer Bell’. 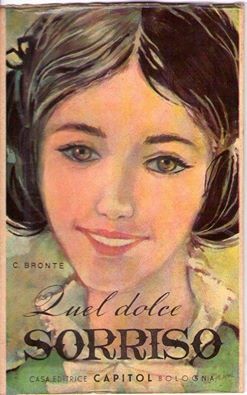 A further translation by Valentina Bianconcini appeared in 1961, published by Capitol with the title Quel dolce sorriso. 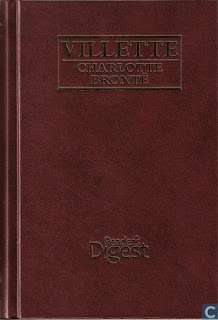 Charlotte Brontë’s Villette has remained almost unknown for more than a century after its publication in Italy to most critics and writers. Its very first complete translation into Italian dates back to March 1962 when Rizzoli published the novel in B.U.R. (Biblioteca Universale Rizzoli). It was translated by Marcella Hannau Pavolini, at the time a well-known translator of English and American novels never read till then in the Italian language. 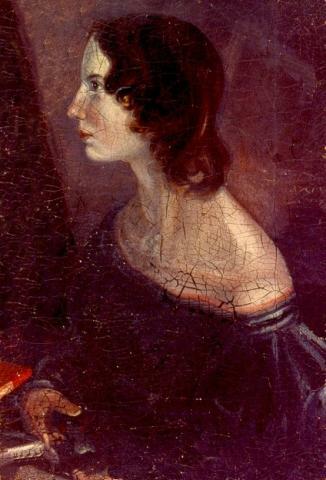 She was the poet Corrado Pavolini’s wife and was considered ‘a very intelligent woman.’ Her only Brontë translation was Villette which she entitled Collegio Femminile and it was unabridged since the whole text was reproduced, with the French sentences translated in notes and a short introduction by Mrs. Hannau Pavolini herself. This first Italian edition appeared in two little (16 cm) volumes for a total of 597 pages, with no picture on the cover (figs. 1 and 1a). In the same year 1962 the second edition of an abridged version of the same novel entitled Miss Lucy (fig. 2) appeared for the publishing house Capitol, from Bologna, after a first edition from 1960 (522 pp.). 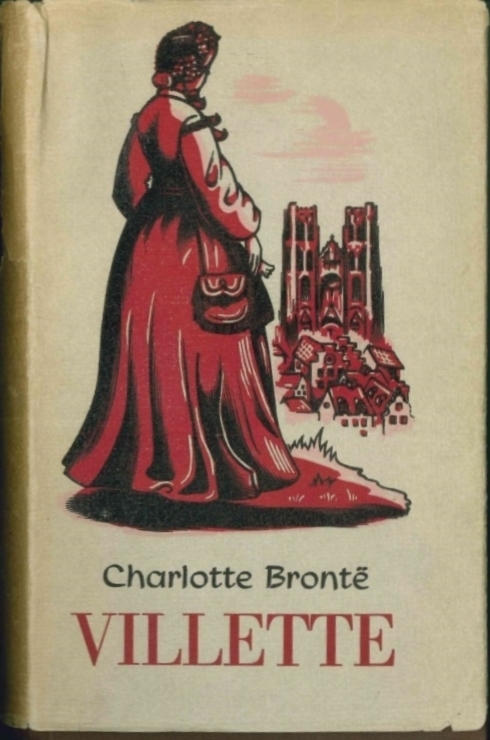 It was translated by Valentina Bianconcini, who in those years was also the translator of other abridged teenager versions of the Brontë novels (1). 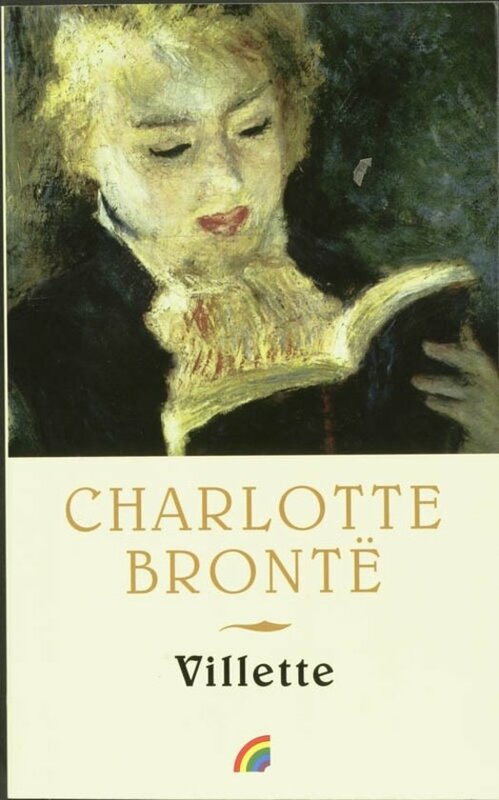 In 1996 a new unabridged Italian version of Charlotte Brontë’s last novel appeared with its original title, Villette, published by Fazi Editore and translated by Simone Caltabellota with a preface by Antonella Anedda (fig. 3). The translator, who at the time worked in the then almost unknown publishing house, is nowadays an Italian acclaimed editor and novelist but has never again translated other Brontë novels. In this translation however Charlotte’s French is not given in Italian. It has seen three reprints, the first in 2003 (a pocket edition, with a new cover) and the other two, in 2013 (634 pp) and 2014 (640 pp), with another new cover (fig. 4 and 5). The latter has been described in the Villette Cover top 6 article (as nr. 4). 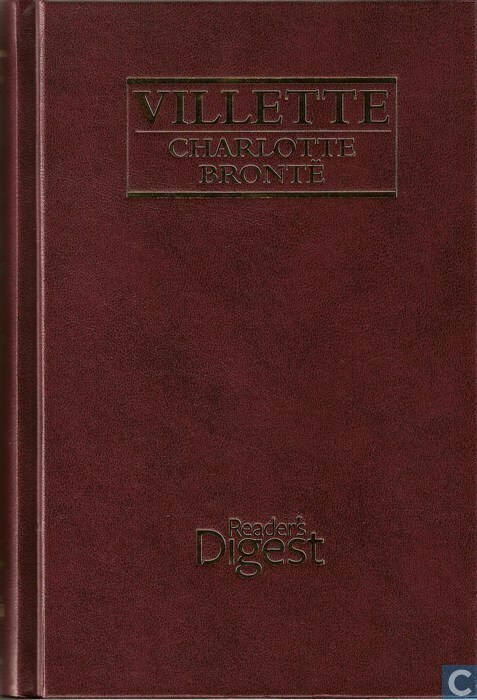 Villette has been translated into at least 29 languages. A good many of these have more than one translation of the novel, and quite often these translations have had more than one edition. It has resulted in many different cover pages. In the old days they were rather dull, as they did not have an illustration. But from 1949 onwards they mostly did. There can be some discussion about the number of languages, as it is debatable whether, for instance, Portuguese and Brazilian Portuguese are two different languages. The same goes for Czech and Slovak. But here we count them as different languages, and thus get to 29 (so far). The list is as follows: Arab, Brazilian Portuguese, Bulgarian, Chinese, Czech, Danish, Dutch, Finnish, French, German, Greek, Hebrew, Hungarian, Italian, Japanese, Korean, Latvian, Lithuanian, Norwegian, Persian, Polish, Portuguese, Rumanian, Russian, Slovenian, Slovak, Spanish, Swedish and Turkish. 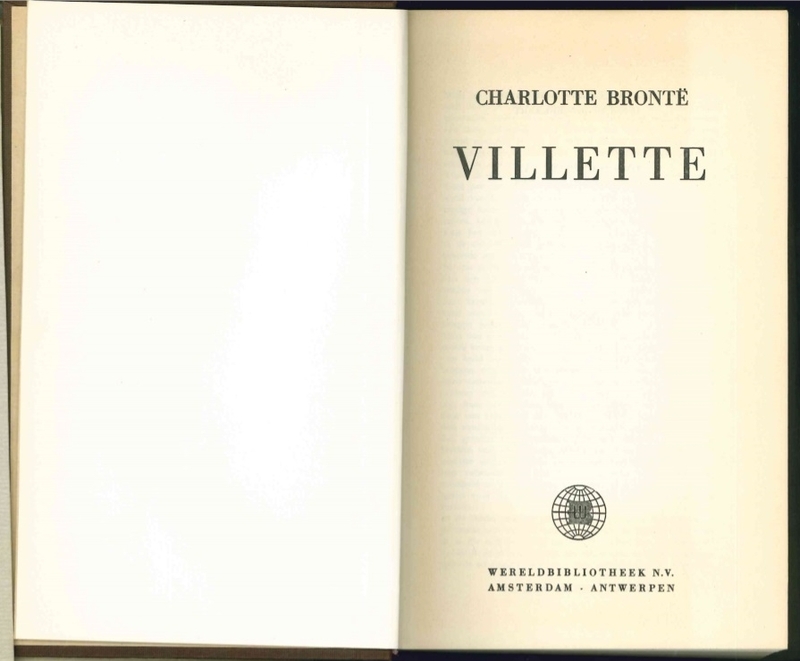 Western European languages usually fully adopt Villette as the title of the translations. In many other cases the title is a variation on how Villette sounds. In other cases it is translated as ‘little city,’ the literal meaning of it. The Russian translations for instance usually have the latter version. Some have an alternative title, like the Chinese translation presented in a recent blog article, which translates as ‘Miss Luo Snow’s study tour in the mind.’ Italy has two translations with the titles Collegio femminile and L’Angelo della tempesta. Almost all versions, with their covers, can be found on the internet. I asked Sue Lonoff and Brian Bracken for their favourites, sending them a shortlist of 18 covers. Together we came to the following top six of finest Villette covers. The Hebrew Villette, published in 2010 by Carmel, from Jerusalem (491 pp. ), has ended up at number six. It was translated by Sigal Adler. 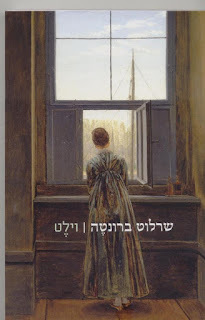 The title transcribes as ‘Vilt.’ The cover painting, Caspar David Friedrich’s Woman at the window, from 1822, reflects the Empire style of the early 19th century. It’s the only translation of Villette in the Hebrew language. 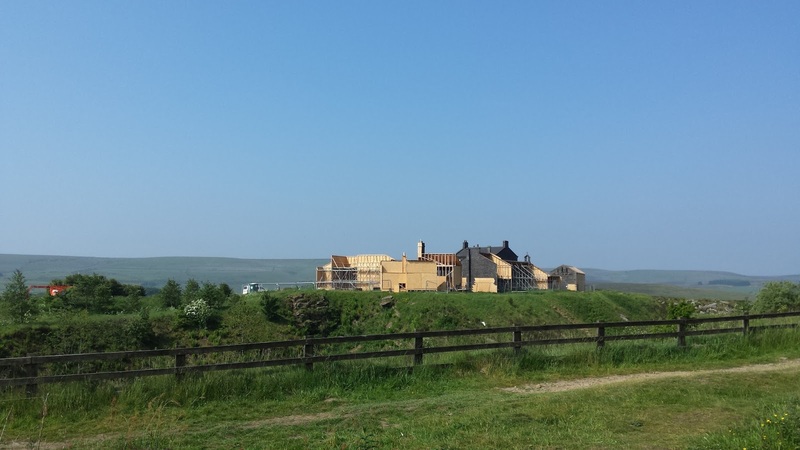 This year, seven members of the Brussels Brontë Group made their way to Haworth for the annual Brontë Society ‘Summer Festival’ (weekend of events and AGM). 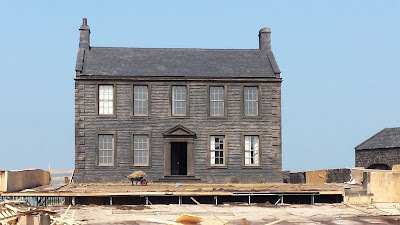 Most of us arrived just too late to see the shops in Main Street transformed by 19th century shop fronts for the filming of ‘To Walk Invisible’, a BBC TV drama about the Brontës’ lives by the Yorkshire writer Sally Wainwright, to be broadcast in December. Filming in Haworth finished on the Thursday. 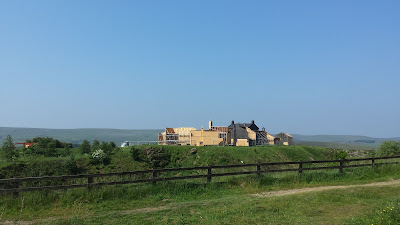 We were, however, able to walk across the moors to Penistone Hill to view the replica of the Parsonage built for the filming. 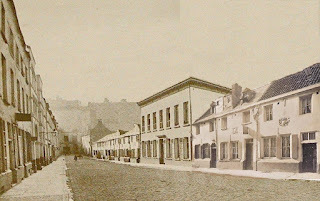 The wooden Parsonage resembles the building as it looked in the 1840s, without the Victorian wing added later in the century. Replicas have also been built of the nearby buildings as they were in the period. This is of course the Charlotte Brontë bicentenary year and there was plenty of excitement at the real Parsonage too. At a special private viewing for Society members, we were able to inspect the exhibition ‘Charlotte Brontë Great and Small’ curated by the novelist Tracy Chevalier. A selection of small artefacts (tiny books, Charlotte’s child-sized clothes....) are contrasted with her big ambitions. In other rooms, visitors can view miniature objects such as a small bed with quilts embroidered with texts from the Brontës’ works, and a knitted scene from Jane Eyre! In addition, at a fund-raising event called ‘Hidden Gems’, a group of members had the opportunity to view a selection of ‘gems’ from the Museum’s collection.